Have you heard Rimsky Korsakov’s “Flight of the Bumblebee” played by Saxophones? 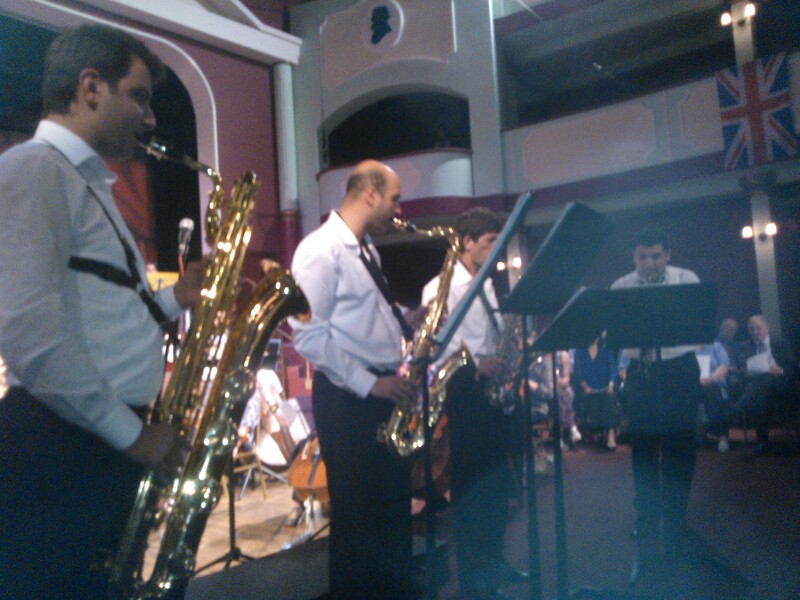 Well, a visiting award winning Armenian group played it marvellously with 4 Saxophones. The complexity of this interlude has always been a great challenge to musicians, and the marvellous performance by the Alma Sax Quartet is just a confirmation of their high level of skill. 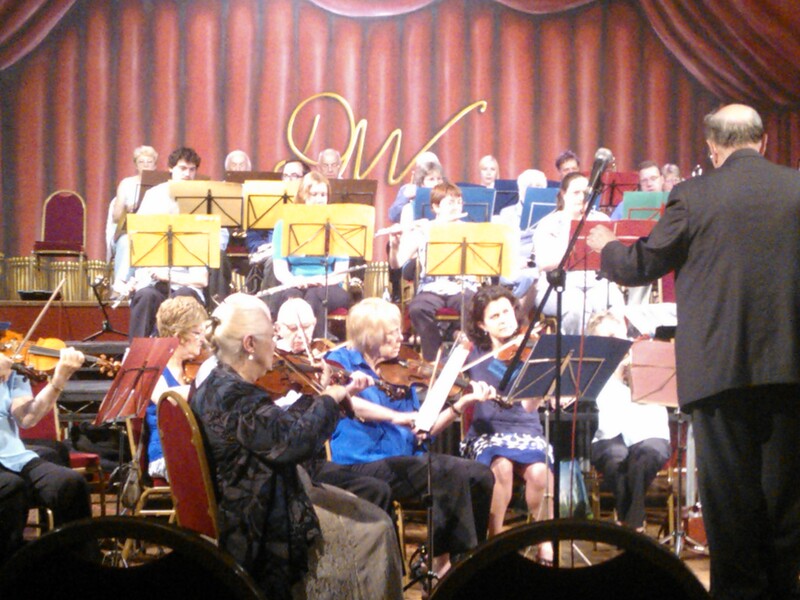 At the Britannia Theatre, Dickens World of Chatham, welcomed by Rotarian President Bill Parkinson, it was an evening of Music organised jointly by the Rotary Club of Medway Sunlight and the Conductor Rotarian Norman Blow. On Sunday the 22nd of July, The Brook Concert Orchestra and Chorus teamed up with two Armenian groups Alma Sax Quartet and Junior Sax Quartet, with Alexander Manukyan as their Musical Director, to entertain the audience in a remarkable charity fund raising event. From traditional Armenian music to classical music including composers such as Mendelssohn, J S Bach, Tchaikovsky and Rossini, to popular music composed by the Abba, and not to forget Elgar’s Pomp and Circumstance, the audience had a lot to savour and admire. Proceeds of the event will finance the Children’s Hospice Holidays to EuroDisney. Fundraising dinner at the Jade Garden in Chatham on Monday, 16th April at 7.00 for 7.30 pm. A delicious chinese buffet-style menu served at your table for £20 a-head. £10 will go towards the cost of the meal and £10 will go towards ShelterBox and other Rotary charities. Jade Garden is in Chatham High Street (on the left if you’re heading from Rochester to Chatham) and there is a large car park at the rear. We are also planning to hold a raffle and mini-auction on the night. Please call me on 07932 397016 or email me by replying to this message if you need more details or would like to buy tickets. ‘Shaking Them Live’ is a fabulous fund-raising concert we are organising for Saturday, 4th August at 7.00 pm in the Britannia Theatre (Dickens World). The concert will be performed by Medway young people – prize-winning dancers from Shake That Dance Studio and talented, up-and-coming musicians from Training Them Live. 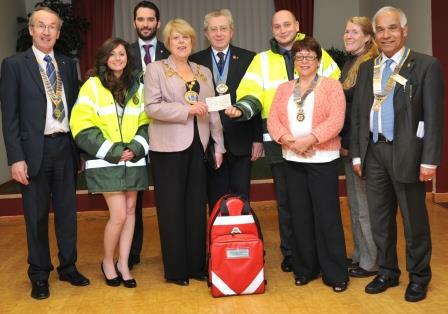 The charities that will benefit from this particular event are Clic Sargeant and Demelza Children’s Hospice. Ticket price is £10 – please let me know if you would like to buy tickets. We are also – on Saturday 30th June – holding a Charities Summer Fete at Byron Primary School in Gillingham. If you would like to rent a stall to raise funds and awareness for your own charity, please let Bill Parkinson know – bill@parkinson67.freeserve.co.uk – of if you would just like to come along and join in the fun, it will start at 2pm that day.